Dancing inside a grocery store: Usually the kind of activity reserved for game shows and shopping sweepstakes. 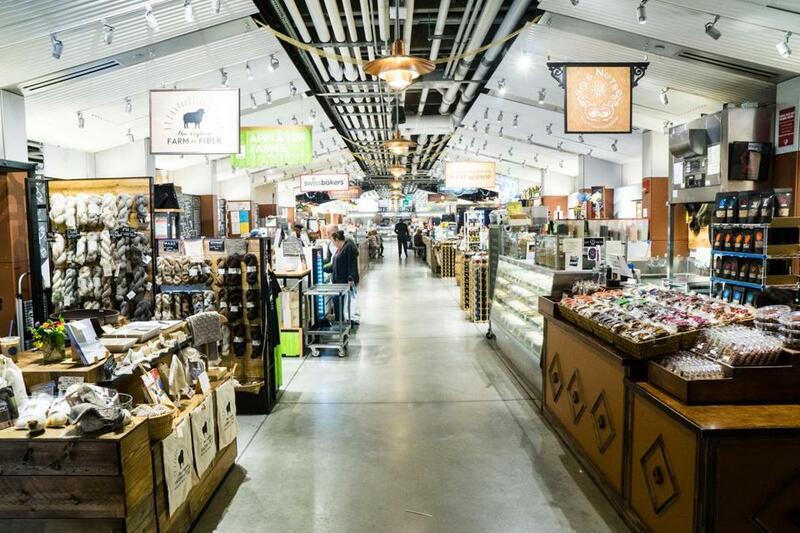 But the Boston Public Market (100 Hanover St.) hosts its third annual Harvest Party on Thursday, Oct. 25, opening its doors for live music, dancing, and photo ops with the market’s “Pumpking” fall mascot. The market showcases local vendors, from apple-growers to cheese-makers, many of which will share samples at the party. Ten New England brewers and cider-makers —including Remnant, Harpoon, and Downeast — will pour drinks, and guests get BPM tote bags filled with seasonal goodies from the shops before leaving. There’s also an auction, and two lucky revelers will win a $500 shopping spree at the market. Tickets to the bash are $50, and proceeds benefit the BPM’s Community Engagement Fund, which supports free cooking and food-related classes. Get ticketsat www.eventbrite.com. The party starts at 7 p.m.